The new device, HomePod, offers an easy and amazing way for Apple users to enjoy AirPlay, Apple Music, and control their HomeKit devices from anywhere. HomePod was not created to be a competitor to Google Home or Amazon Echo, just as the MacBook Air was not designed to compete against the netbook. Of course, they do share a number of characteristics. For instance, the HomePod smart speaker can be voice-controlled and the MacBook Air is compact and lightweight. However, HomePod is just a $350 home assistant; much like the MacBook was a $200 laptop computer. The Fire Phone by Amazon was not much of a hit. Alexa, therefore, had to sell a lot so that Prime could stick into more people’s lives. This was a success, thanks to the priced-to-move Echo. Google, on the other hand, made a brilliant decision to follow in their footsteps because it had to satisfy its insatiable data thirst. When it comes to HomePod, something was a little different. The AirPod was designed to help you enjoy your favorite music on the go while HomePod was designed to help you enjoy your favorite music in a convenient way in your home. AirPods lacked wires and sufficient surface area for traditional buttons. Because of this, the Siri voice control was the only way to interact with the gadget, you have to be near the device. 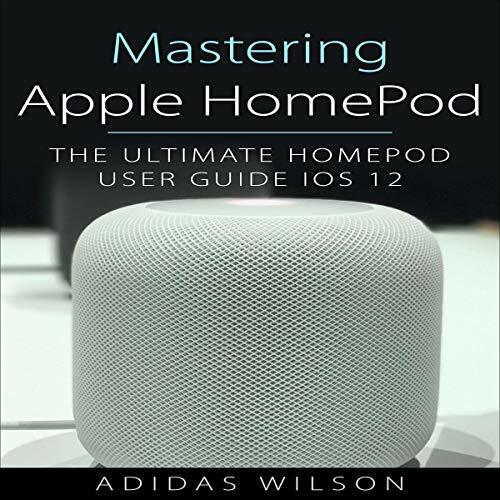 Listen to The Ultimate HomePod User Guide to learn more.